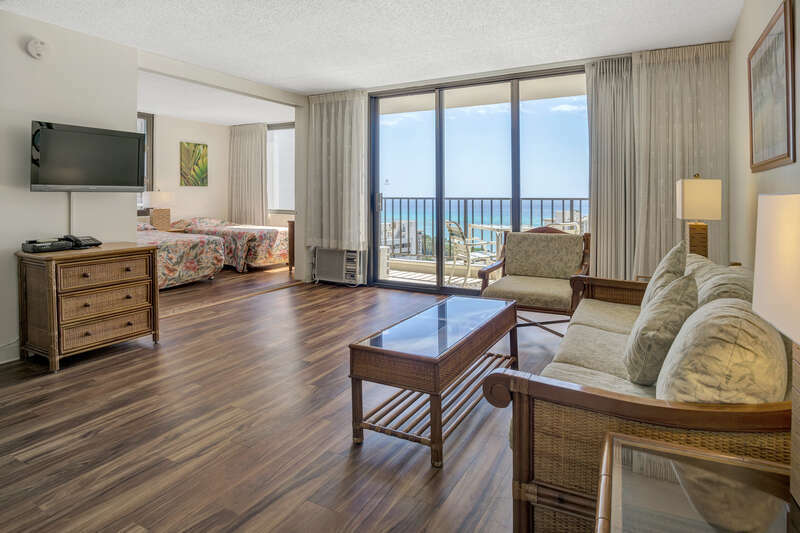 Enjoy paradise in this 28th floor Waikiki Banyan condo suite only one block from world famous Waikiki beach! 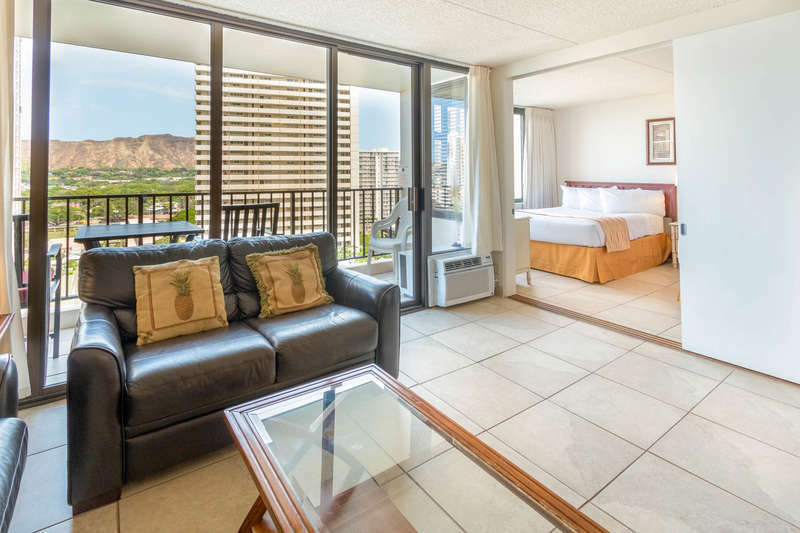 Condo suite is located on the 28th floor and has a stunning view of the mountains and the Ala Wai Golf Course. The kitchen and bathroom have modern cabinetry with lots of storage space and huge island for family dinners. Enjoy the comforts of home at an affordable price! Save money and enjoy the convenience of a full kitchen and comfortable seating in the living room. Kitchen includes refrigerator, range, microwave, rice maker, coffee maker, and other kitchen wares. There is an island table with seating for four people. 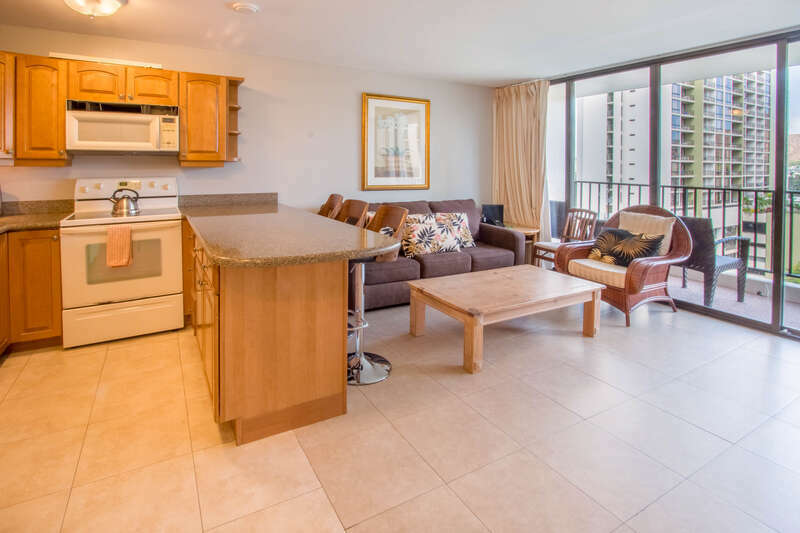 Tastefully decorated with island style furnishings and a large flat screen TV. Convenient sleeping arrangements include two full-sized beds in the bedroom. In the bathroom, there is a door between the vanity and the toilet for added privacy. The shower has beautiful, large floor-to-ceiling tile.